I'd like to officially welcome TRVP_ANGEL to the Newschoolers social media team. As he stated in the comment section on the article about Doug, he will be taking over all responsibilities that were previously mine and I have faith he will be able to live up to the expectations of being a red name. I feel so honored to be a part of this great website. All of my hard work and dedication has paid off. Getting the on the social team has been a dream of mine for many years, and I would like to thank those who have helped me along the way. First and foremost i would like to thank god for giving me this opportunity. Next i would like to thank my parents. I want to thank my friend CLQ for being really skinny and always there for me. I would also like to thank my pet tadpole for surviving for over a week. Next i would like to thank the squirrel that lives in my backyard for climbing trees because that gives me inspiration that i need to get through the day. This is a special moment in my life and i would like to thank any of my unmentioned friends and family that have helped me along the way. This moment will be a moment that I will never forget. I just remembered a few other people i would like to thank; Abraham Lincoln, the fish I caught in the third grade, my light in my room because i wouldn’t be able to see the keyboard without it, the internet for letting me go on Youtube, my house because without it i would be homeless, and last but not least i would like to thank all the people out there that actually took time out of their day to read this. I cannot stress how much of a big deal to me this is. I have been trying to be a red name for years, but that has not been possible until this amazing day. Hopefully my good luck will continue, but this is undoubtedly a rare occasion. If you asked me how I did this, I would say, you can achieve anything you set your mind on. To all the kids out there reading this, I would like to tell them to follow their dreams. Being a newschoolers admin is truly amazing, thank you everyone. I feel as though a void has been filled and for that I am thankful. 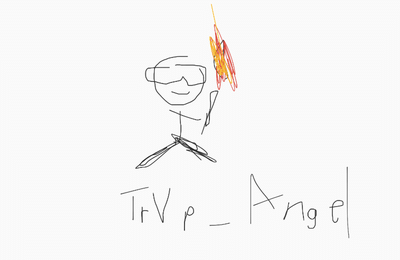 TRVP_ANGEL I feel so honored to be a part of this great website. All of my hard work and dedication has paid off. Getting the on the social team has been a dream of mine for many years, and I would like to thank those who have helped me along the way. First and foremost i would like to thank god for giving me this opportunity. Next i would like to thank my parents. I want to thank my friend CLQ for being really skinny and always there for me. I would also like to thank my pet tadpole for surviving for over a week. Next i would like to thank the squirrel that lives in my backyard for climbing trees because that gives me inspiration that i need to get through the day. This is a special moment in my life and i would like to thank any of my unmentioned friends and family that have helped me along the way. This moment will be a moment that I will never forget. I just remembered a few other people i would like to thank; Abraham Lincoln, the fish I caught in the third grade, my light in my room because i wouldn’t be able to see the keyboard without it, the internet for letting me go on Youtube, my house because without it i would be homeless, and last but not least i would like to thank all the people out there that actually took time out of their day to read this. I cannot stress how much of a big deal to me this is. I have been trying to be a red name for years, but that has not been possible until this amazing day. Hopefully my good luck will continue, but this is undoubtedly a rare occasion. If you asked me how I did this, I would say, you can achieve anything you set your mind on. To all the kids out there reading this, I would like to tell them to follow their dreams. Being a newschoolers admin is truly amazing, thank you everyone. Nice! We are stoked to see you pick up the responsibility. You write like Hemmingway and have a Kurt Cobain attitude so I think you will fit the role well. Hopefully you can get NS a huge following on MySpace and Xanga. Congrats dude!